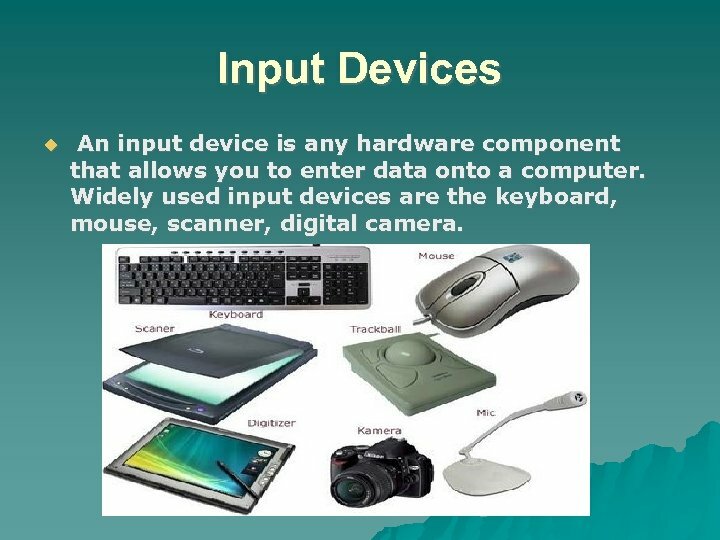 Input Devices An input device is any hardware component that allows you to enter data onto a computer. 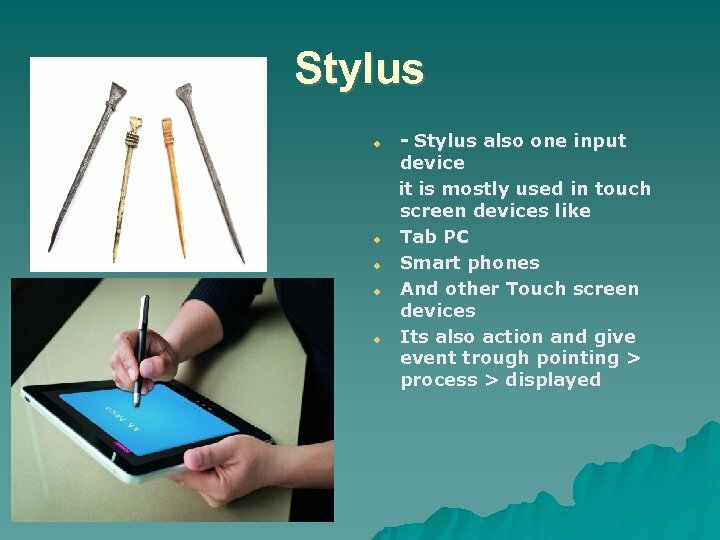 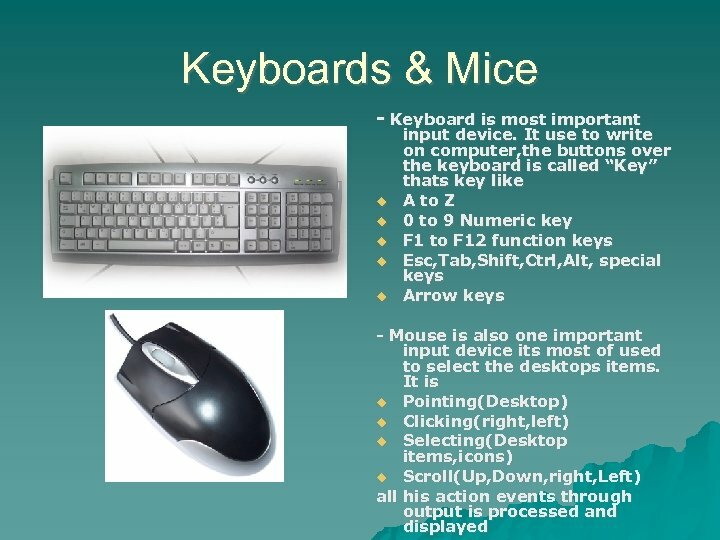 Widely used input devices are the keyboard, mouse, scanner, digital camera. 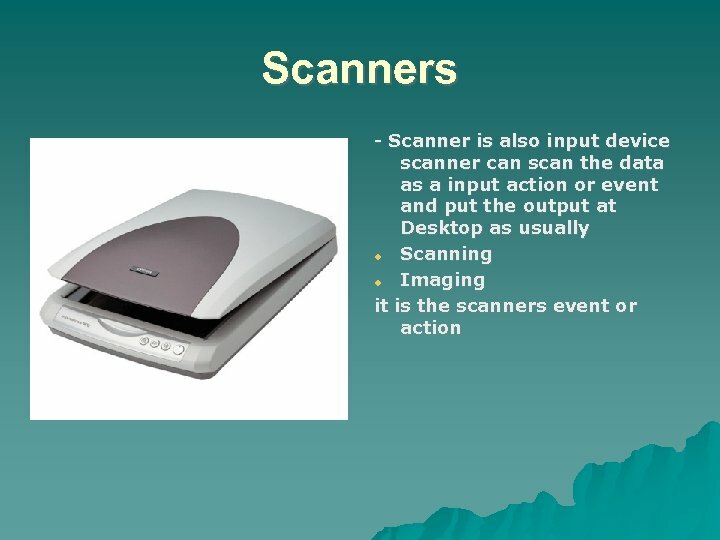 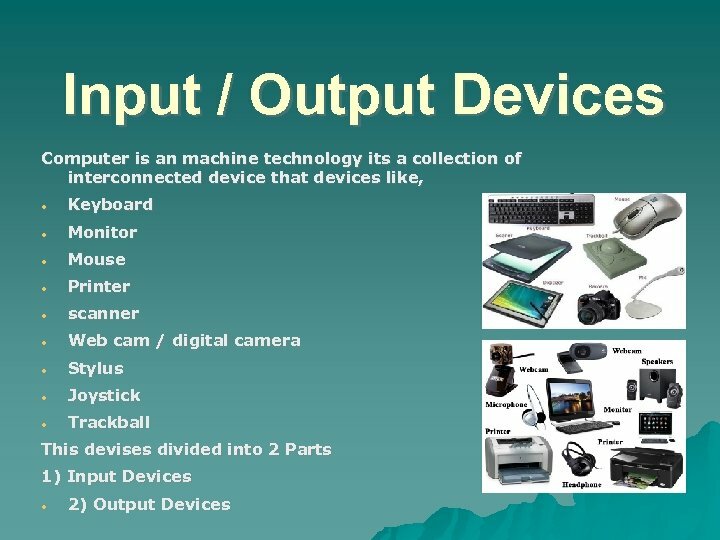 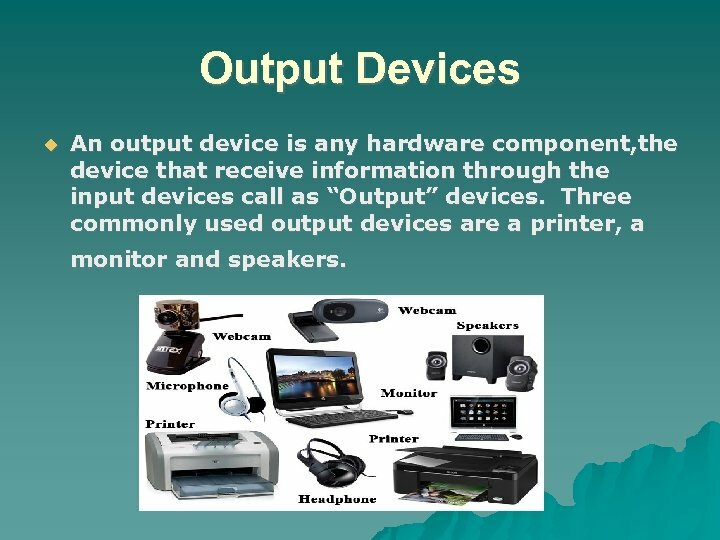 Output Devices An output device is any hardware component, the device that receive information through the input devices call as “Output” devices. 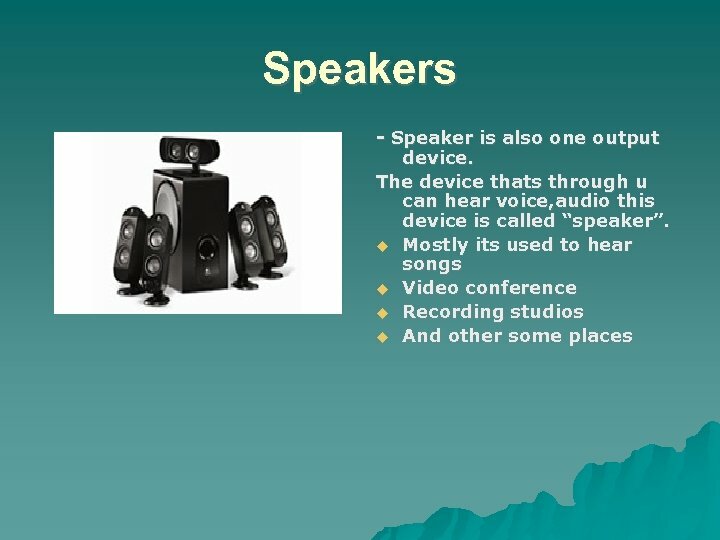 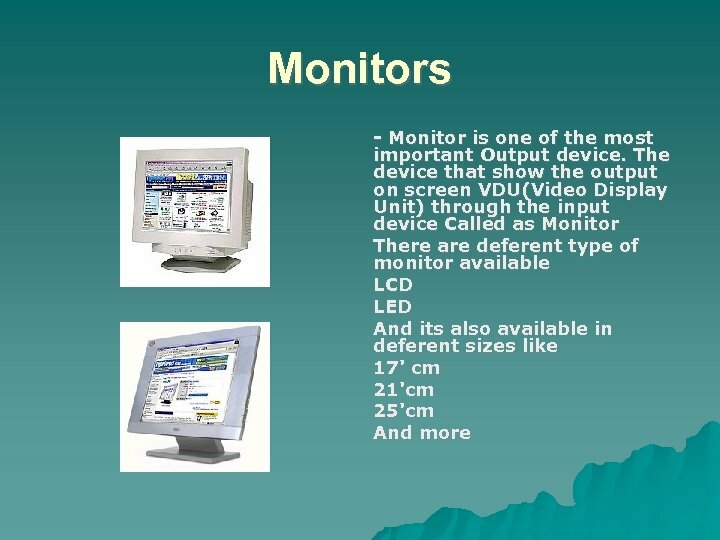 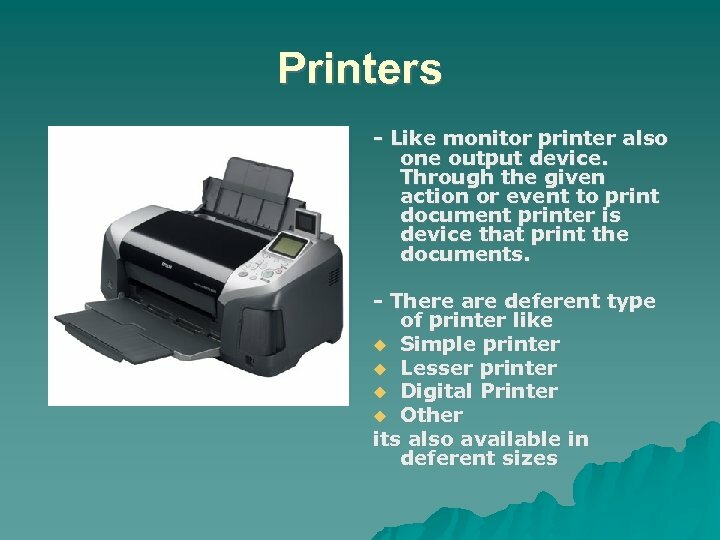 Three commonly used output devices are a printer, a monitor and speakers.